Have used Avondale twice, and will use them again. 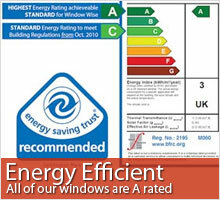 Our windows are manufactured using a fully integrated profile suite. The fully sculptered profile and matching glazing bead result in a range of windows and doors that are attractive in appeareance with classic styling and tremendous appeal. All window profiles are manufactured to BS7413, the specification for PVC-U extruded profiles with heat welded corner joints. The frames are manufactured in a plant that is ISO 9001:2000 accredited to ensure consistently high quality frames are manufactured every day to stringent procedures. 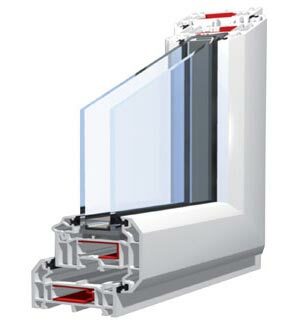 The main profile depth of 70mm incorporates 5 chambers (front and back) at the core of the design philosophy. having 2 chambers either side of the reinforcement chamber prevents thermal bridging and provides a superb thermal insulation performance. The advance design features will also allow the system to meet with any potential future requirements of the UK Building Regulations.